I come from a family where there were four boys that were a year apart in age. In addition to our sister Michele, my brother Rich is a year older than me, and my younger brothers Chris and Joe are one and two years younger than me. Growing up with siblings so close in age has both its advantages and disadvantages. On the plus side, there is always someone to play with, and we were basically our own little gang. On the minus side, we are pretty different people...certainly now as a adults, but even back then as well...and that meant that there wasn't always perfect harmony in our collective behavior. I actually found the above picture as I was thinking about writing this Christmas series. Probably the best time though to have siblings close in age was when it came to Christmas. As I noted in a prior posting, while we were poor, my Mother did always manage to get us some (seemingly) great gifts. In the gifts, even then, my Mother somehow managed to reflect our own little budding personalities. The gift I am holding, for example, is (I think) some kind of tool set; to this very day I'm not shy about trying to take things apart, and every once in a while I also manage to put them back together. 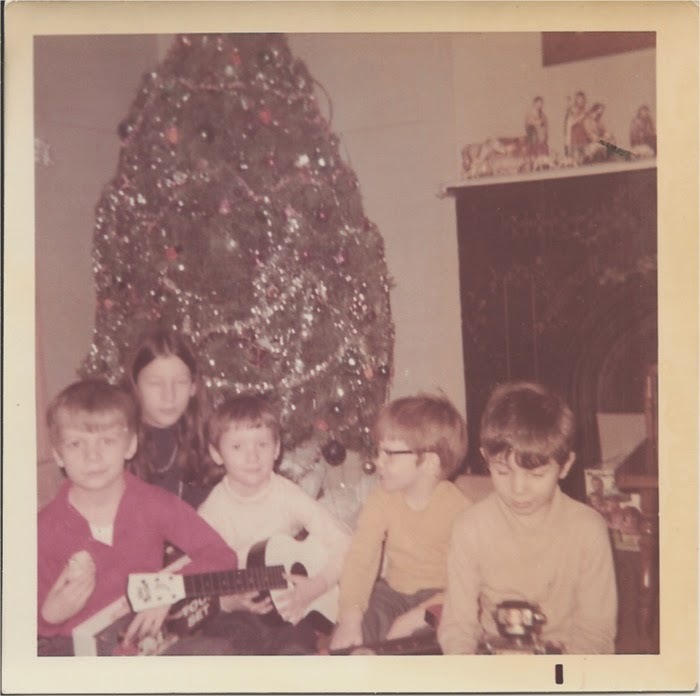 My brother Chris is holding the guitar, which he kinda/sorta/a little plays, although it's never been something he seriously pursued. Sorry, but I can't see if Joe has a toy, and I have no clue what Rich is doing with the toy robot (although I do remember that toy robot). So much for deep analysis via old photo. Anyway, we were our own little version of the Beatles back then, and to a far lesser extent even now. Not a musical Beatles mind you, but rather the kind of band of brothers that the Beatles represented. My brother Chris, ever the rebel, would have to be John Lennon. 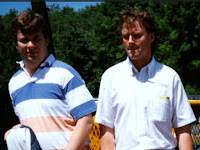 My brother Rich, being kind hearted and a good judge of character, would have to be George. My brother Joe, who always manages to find a kind of happiness wherever he lands, would be Ringo. And I would have to be Paul, if for no other reason than the fact that I've managed to be fairly driven in life and I have something of a head for business. While things certainly weren't all sunshine, smiles and rainbows growing up, Christmas was always special. And yes, I am hoping to "get the band back together" at Christmas time.